Nasal carriage of Staphylococcus aureus is reported in 30% of the population, and methicillin-resistant Staphylococcus aureus (MRSA) in 3% to 5% percent of the population. These are major risk factors for infection in healthcare environments. Clinical evidence reveals that nasal decolonization can significantly reduce the risk of transmission. 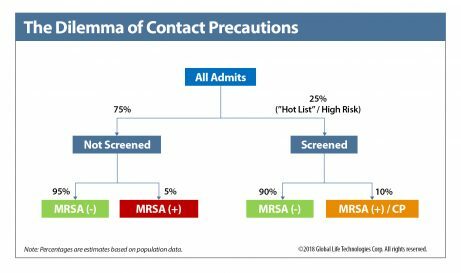 This can help address the dilemma of contact precautions (CP) where patients remain colonized. 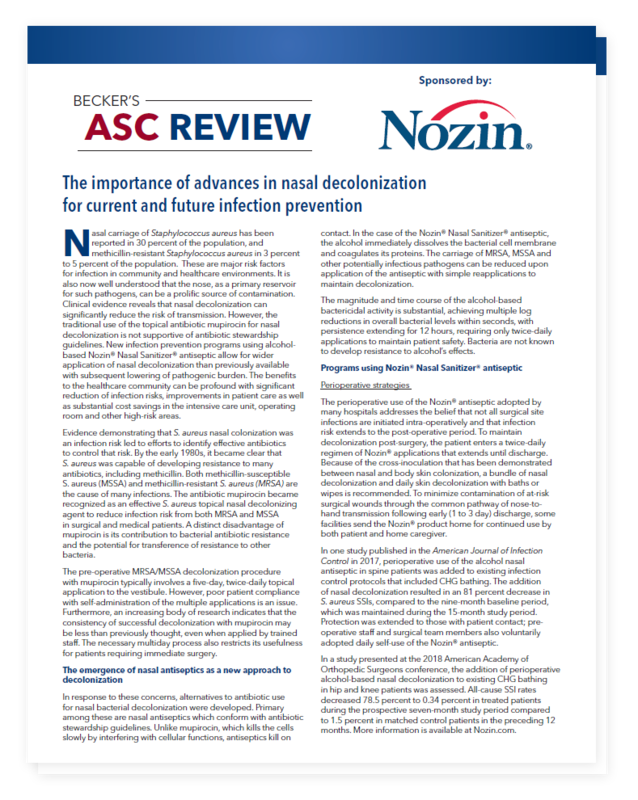 New infection prevention programs using alcohol-based Nozin® Nasal Sanitizer® antiseptic allow for wider application of nasal decolonization than previously available with significant reduction of infection risks, improvements in patient care as well as potential for substantial CP cost savings in the ICU, OR and other high-risk areas. Healthcare professionals are invited to download the FREE executive brief on the nasal decolonization landscape. Please submit the form below to access the download page.